Geoffrey Cornelius in his fascinating and groundbreaking work "Moment of Astrology" notes a number of times that no consistent astrological signature for suicide had been found as of the writing of his book. He suggests in the book that such a signature may never be found because astrology itself does not work in a quantifiably consistent manner. I am undecided on this question. 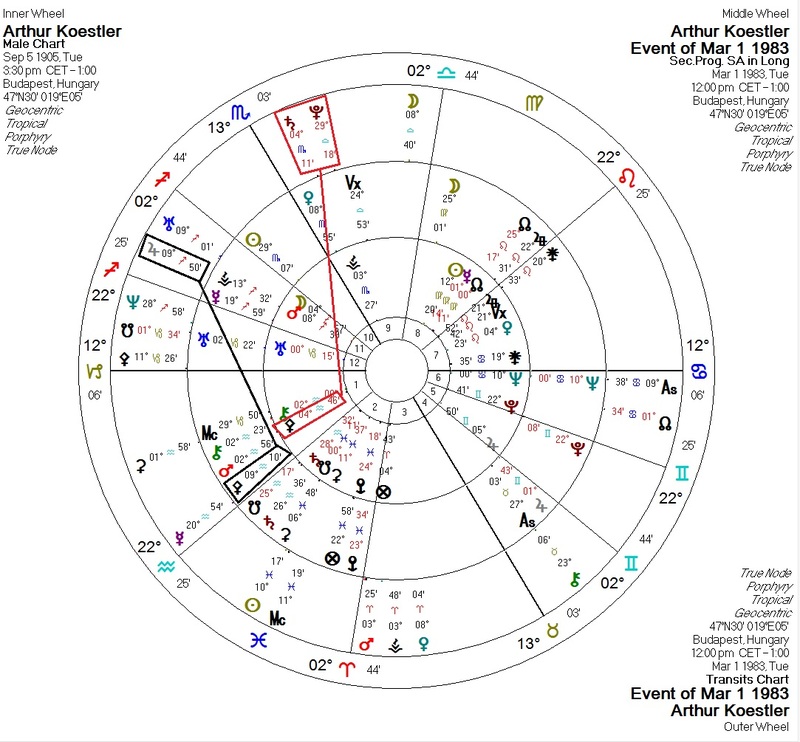 That said, I've examined the charts for a number of suicides on this blog, and there seems to be a recurring pattern of transits involving both Jupiter and Pluto to natal or progressed Pallas of the native. I do not claim to have disproven Mr. Cornelius, but for entertainment value I extract a suicide chart example from his book (Arthur Koestler, 1983) and point out that my proposed Pallas pattern appears in the chart.